Technological improvements mean that the phones, tablets, computers and other electric devices we find so essential are cheaper and more powerful than ever. But this means we upgrade them sooner and they quickly become unwanted or obsolete, and are thrown away. The huge amounts of waste electrical and electronic equipment – WEEE, or e-waste – that results is quickly becoming a major worldwide environmental, economic and health problem. A recent report by the European Union-funded Countering WEEE Illegal Trade project found that only just over a third of Europe’s e-waste ended up in official collection and recycling programs. The rest, amounting to over 6m tonnes a year, was either exported (1.5m tonnes), recycled in ways that fell outside the law (3.15m tonnes), scavenged (750,000 tonnes), or simply thrown in the bin (750,000 tonnes). Considering the vast quantities of e-waste produced worldwide, where this waste ends up is a serious concern. Considering the energy and materials-intensive process of manufacturing it in the first place, so is the impact on the world’s natural resources and environment. But not all e-waste is the same. Different equipment can contain hundreds or even thousands of different substances, some of which are potentially highly toxic, while others are extremely valuable. This has led to theft: in 2012 the EU estimated that theft of valuable components and materials from e-waste was worth between €800m and €1.7 billion. Much of electronic waste is made of metals: gold, lead, nickel, silver, tin and zinc, alongside valuable reusable plastics. Hazardous elements include materials such as asbestos, batteries, printed circuit boards, and printer toner cartridges. Throwing away high-value materials represents a huge waste. However, the economics of extracting them don’t always work in the West. Instead, e-waste exported to developing countries ends up in informal recycling schemes run by individuals, and sometimes criminal gangs. In some countries this has dominated the e-waste recycling chain, with equipment burnt in open fires or processed with hazardous acids in order to recover valuable metals. Properly organised recycling schemes have emerged in developed countries, with the EU leading the way in adopting the “producer pays principle”, which requires manufacturers and sometimes importers and distributors to fund the collection and recycling of their products – and to ensure they’re disposed of using environmentally sound methods. In the European Union, this first appeared as the 2006 WEEE Directive, which included rising national e-waste recycling targets, and a further directive in 2012 that broadened what counted as e-waste and introduced tougher restrictions on illegal waste export. Each year around 9.5m tonnes of e-waste are disposed of in the EU. 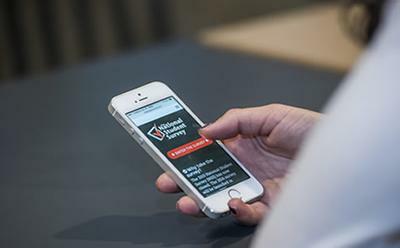 It is also estimated that of the 1.3m tonnes of undocumented electronic waste exported, 70% was functioning equipment – which could potentially have continued to be used. Electronic waste was at first just dumped in landfill sites. But the danger of the highly-toxic elements in e-waste escaping landfill sites – into the water table, for example – meant that tighter controls were needed. Problems related to e-waste disposal in developing countries are worse, and already cause significant environmental and health problems. The open burning of plastics, widespread general dumping, malpractices associated with improper dismantling and treatment of e-waste as observed in countries such as China, India and Nigeria can result in serious health consequences. Places such as Guiyu in China and Agbogbloshie in Ghana have become notorious for their unregulated, heavily polluted, sweatshop-dominated, digital dumps. Metals do not degrade in the environment and so can accumulate, contaminating the soil and groundwater, bioaccumulating in the creatures living in them. Beyond the cost to the environment and health is the economic cost. The loss of precious, useful and often rare materials from unprocessed e-waste is very significant. Materials found in modern electrical and electronic products include metals classified as critical raw materials which are in short supply. Ethical concerns linked with e-waste include reports of child labour in its treatment and handling, especially in some parts of Asia and Africa. 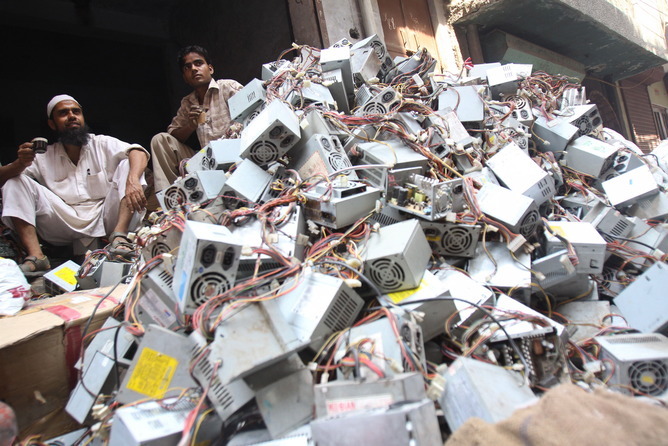 Illegal shipment of e-waste from affluent countries to poorer developing countries that lack the facilities to properly treat such wastes is widespread. The evidence points to a close link between ethical malpractice in e-waste handling and environmental damage and health problems. Preventing illegal e-waste shipments could alleviate – if not necessarily eradicate – these effects. With the world’s population expected to grow to nine billion by 2050, and a corresponding leap in the amount of waste electronics that we consume and discard, we urgently need to get a grip on this problem and introduce proper laws, regulations and procedures that will ensure that electronic waste is safely dealt with.